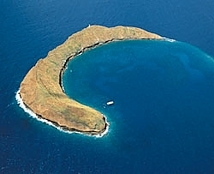 Visit Molokini Island, a sunken volcanic crater + national fish preserve and Hawaii's most famous dive spot. Continental breakfast, snorkeling equipment, instructions + BBQ burgers, chicken breasts, veggie burgers, jumbo hot dogs, pasta salad and all the fixings. Beer and wine (served after snorkeling), soda, fruit juices, tea and coffee are available. Cruise on board comfortable 65-foot Maxi Catamaran. 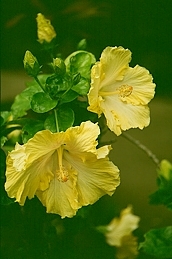 Pride of Maui. Daily. An unforgettable action activity. Coast 38 miles down the world's largest dormant volcano, Haleakala, standing at 10,023 feet. Includes complete outfit of windbreaker, helmet, gloves and bike, round trip transportation, National Park Entrance Fee and two Mountain Guides. Daily. Continental breakfast served at baseyard. No-Host breakfast or rest stop. From December through May experience the thrill of whale watching. Each winter, the Pacific Humpback Whale, migrates from Alaska to the waters off the coast of Maui. These mammals are one of Maui’s most prized visitors with their spectacular "breaching and "tail slapping". Rising over 10,000 feet from sea level, Haleakala is renowned for its raw beauty and unique scenery. This massive, dormant volcano crater is home of the rare Silversword plant and Nene goose, Hawaii's State Bird. The crater is dotted with cinder cones on its moon-like surface and is the size of Manhattan. See beautiful ranch lands and flower farms. Spectacular sunrise - dress warmly. Fully narrated by expert driver/guide. Ride on unspoiled mountains, rain forest and restricted farmlands. Rides walking paced with experienced guides. Wear long pants and close-toed shoes. Rider must sign risk agreement and assume full responsibility. No riders over 205 pounds. 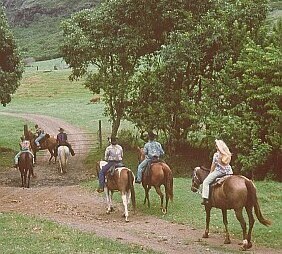 Enjoy an incredible 2 hour ride through some of West Maui's most beautiful natural treasures on this working ranch. Paniolo style BBQ lunch included for the afternoon ride. 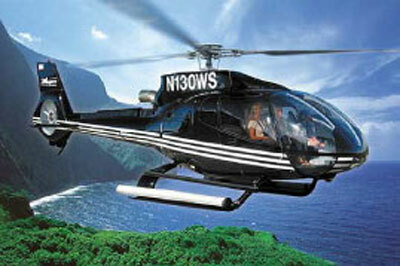 An Aereospatiale A-Star helicopter holds six passengers comfortably, plus your pilot. Headsets are provided to each person to enjoy the informative, live narration by your pilot set to a background of exciting music. Departs from Kahului Heliport. Use your rental car or transfers arranged by taxi. Seats are at a premium so don't delay. Flights at various times. All cancellations subject to 18% service charge. Cancellations made within 48 hours of the tour activity incur the full charge. All rates and itineraries will be confirmed when reservation is confirmed and paid in full.